direction of a CDPH Research Associate. CDPH is one of the few programs in the United States and the only program in Florida to offer a Master's degree in Demography (MSD). The one-year MSD program emphasizes demographic practice. The curriculum provides students firm grounding in demographic techniques and the statistical analysis of demographic data, in preparation for careers in federal, state, and local government agencies or for positions in the many private-sector firms that depend on demographic expertise. Get more information on the MSD degree. In conjunction with the Department of Urban and Regional Planning, CDPH offers a two-year joint degree program in Planning and Demography, leading to the MSD and MSP degrees. The programs' complementary emphases provide important professional options to students considering public- or private-sector careers in Planning or Demography. Get more information on the joint degee program. This program allows academically talented FSU undergraduates to complete a Bachelor's degree in any major and the Master of Science degree in Demography in a faster-than-normal time-frame. Get more information on the Combined BS/BA/MS degree. Doctoral students may earn a Ph.D. in Economics, Sociology, or Urban and Regional Planning under the direction of a CDPH Research Associate. CDPH Associates direct doctoral students through programs in their home departments, including social demography, population economics, health and aging, and environmental planning. Get more information on doctoral training in demography. To be considered for either of these scholarships you must submit your application by May 1st. The Serow Scholarship: $3000 towards tuition, awarded at the beginning of the first (Fall) semester of study. The Charles B. Nam Scholarship: $5000 towards tuition, awarded at the beginning of the first (Fall) semester of study. Tuition Waivers: up to six hours per semester tuition waiver for two semesters. The Admissions Committee will consider a student’s undergraduate GPA and GRE scores in offering these awards. The Serow Prize: $1000 awarded in the second (Spring) semester of study to the student with the highest academic performance in the cohort. 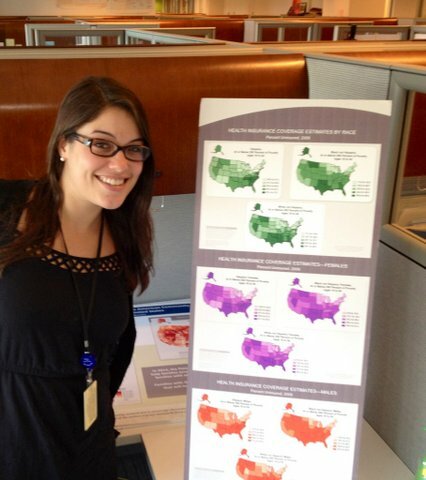 Entry-level demographers may conduct field work, including conducting interviews; however, most work in office settings and spend much of their time analyzing numbers using computers and statistical software.